Fathom Events, in conjunction with Paramount Pictures, takes audiences Beyond the World of Interstellar for a special one-night presentation in select U.S. movie theaters on April 7, 2015 at 7:00 p.m. local time. Director Christopher Nolan's critically-acclaimed masterpiece starring Academy Award winners Matthew McConaughey, Anne Hathaway and Michael Caine and Academy Award nominee Jessica Chastain returns to theaters with exclusive bonus footage including red carpet interviews from the gala screening of Interstellar at the Royal Albert Hall in London; plus footage of Christopher Nolan, world-renowned physicist Kip Thorne and composer Hans Zimmer discussing the art, science and music behind the film at the "Interstellar Live" event in London. In addition, behind-the-scenes footage from the film's Blu-ray release will also be shown. 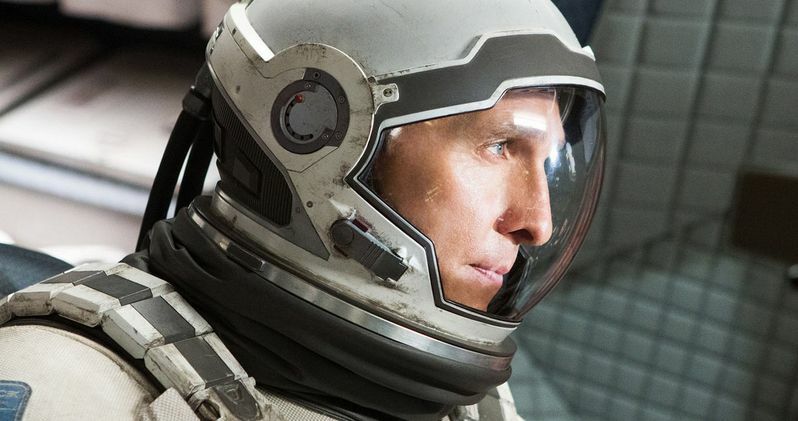 Tickets for Beyond the World of Interstellar can be purchased online by visiting www.FathomEvents.com (CLICK HERE) or at participating theater box offices. Fans throughout the U.S. will be able to enjoy the event in more than 250 movie theaters. For a complete list of theater locations visit the Fathom Events website (theaters and participants are subject to change). "The additional content that will be shown at this event is truly spectacular and gives amazing insight into the talent and background behind this awe-inspiring epic."